When you pray, be expectant and be intentional. 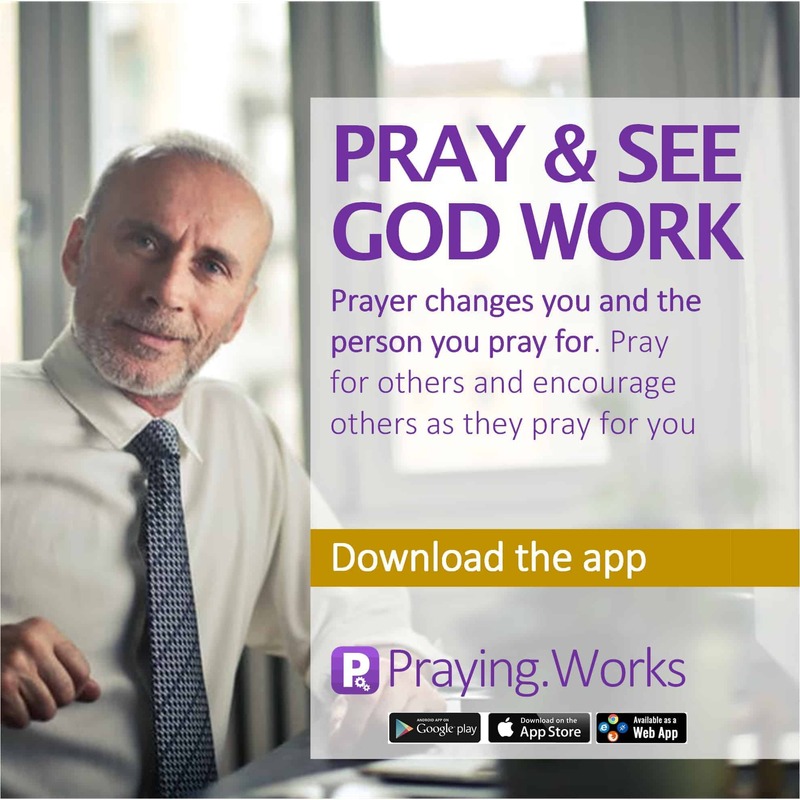 Pray and see God work everything for your good – God wants the best for you in your life. He wants the best for each and every individual in their lives. And through God we can all achieve the best in our lives. Somewhere in history the idea that God is 100% about judgement has become the default. Somewhere in history “Pray and see God work everything for yout good” got lost. Children were taught – be good and God will bless you. Be bad and God will punish you. Many Sundays in church was dominated by what specific deeds will land you in hell. Whereas the truth is only one decision (deed) will land you in hell – that’s the decision to reject God. God wants us to pray. God wants to work all things for good for us. Today the teaching of prosperity focuses exclusively on that generous, loving part of God. The risk exists here also, that “Pray and see God work everything for yout good” can also be lost. And it is 100% true, that God is loving. Jesus made a promise in John 15:7 – “If you abide in Me, and My words abide in you, ask whatever you wish, and it will be done for you”. The two-part condition to see God work all things for your good is really basic and really simple; (a) abide in Jesus and (b) let His words abide in you. That’s it. Then ask in the name of Jesus for whatever you require in faith. Many people are experiencing God’s amazing grace today. They do not “behave” in line with tradtional and religious dictation, they simply decide to have confidence in God, they abide in Jesus and allow His word to abide in them.